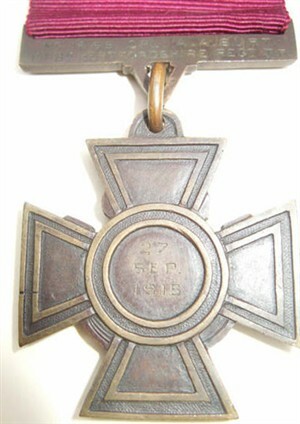 Alfred Burt was the first member of the Hertfordshire Regiment to win the Victoria Cross. He was born at Port Vale in 1895 and moved to Nelson Street while still an infant. After attending Cowbridge School and playing football for nearby Stapleford he got a job as a gas fitter with the Hertford Gas Company. 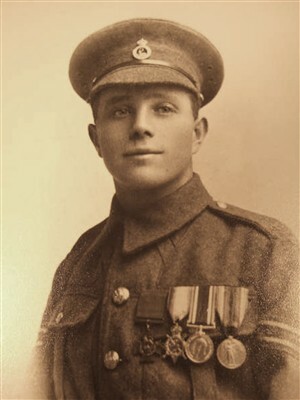 Burt was a member of the Hertfordshire Territorial Regiment for some years and was mobilised in November 1914. He won his VC at Cuinchy (in France) on 27th September 1915. Burt was a member of the Hertfordshire Territorial Regiment for some years and was mobilised in November 1914. He won his VC at Cuinchy (in France) on 27th September 1915. 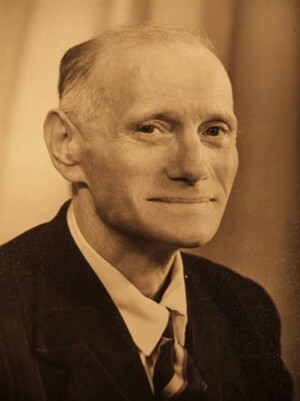 Burt died in June 1962 at Chesham, Bucks, having suffered over the years from the effects of a gas attack. In 1979 Burt’s daughter presented his VC to the town of Hertford in a ceremony at Hertford Castle in which the Mayor of Hertford accepted the medal on behalf of the town. It is now kept at Hertford Museum. This page was added on 10/11/2009. Coincidentally, I have been working on the war diary and journal of another young soldier of the Herts Regiment – Reginald Burch, a machine gunner who was also in action on 27th September 1915 and went on later to be ‘mentioned in dispatches’. His diary/journal details “…..there was one note of heroism, one of the Herts picked up a live bomb that had fallen in the trench and threw it over the parapet for which he deservedly won the Victoria Cross”.